The theme features a qipao, A-line dress, top and shorts, cut from shimmering jacquard in vibrant gold and dark blue colour combo. Taking inspiration from the beauty of a peacock feather, the theme is bohemian and glamorous, with transparent details adding a bit of drama. 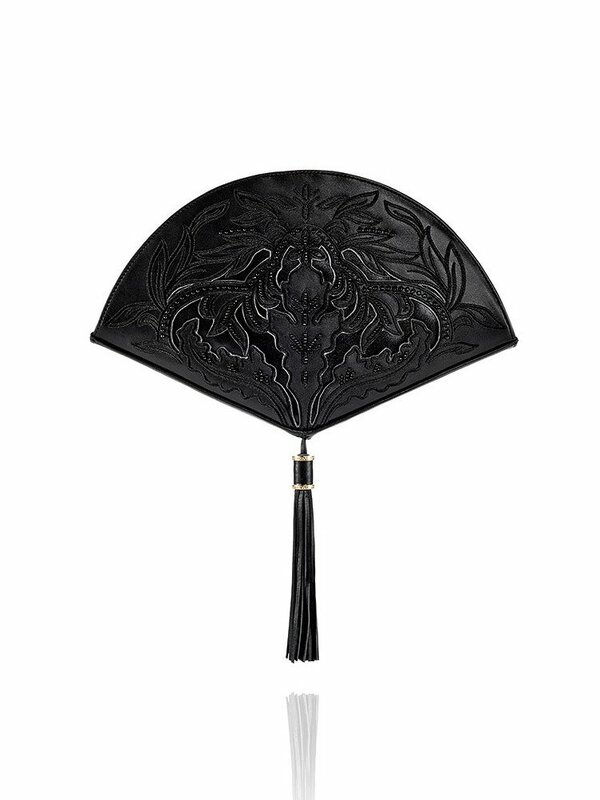 Crafted in the shape of a fan, this statement clutch catches the eye from afar. 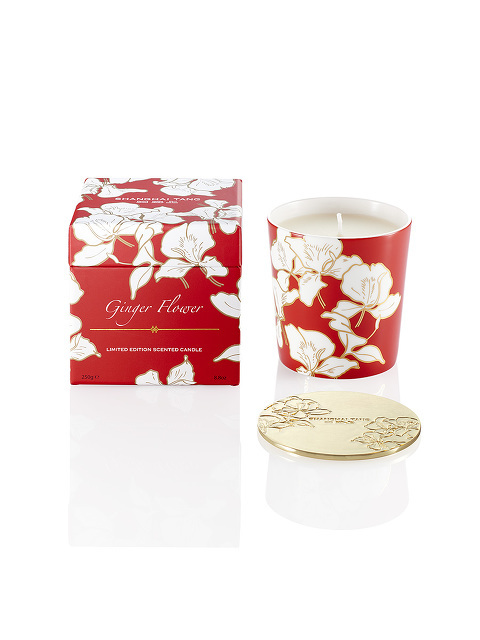 Closer inspection reveals detailed applique and beading, forming a feminine, floral design inspired by Chinese ceramics. The classic qipao dress is reinvented in vibrant Dragon Scale Jacquard, showing tradition and modernity working in harmony. The qipao is flattering on the figure and looks stunning in dramatic gold and dark blue pattern with added shimmer. 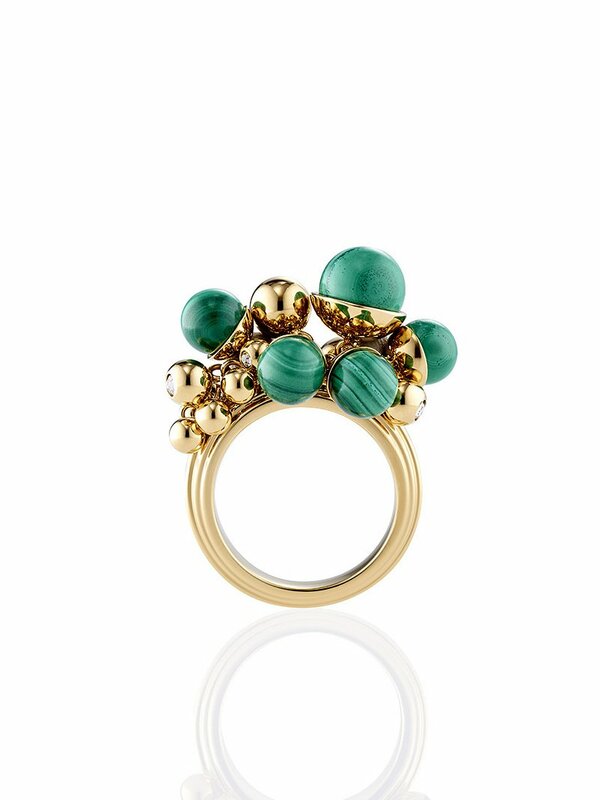 This stunning ring is set with moving beads made of malachite and metal. 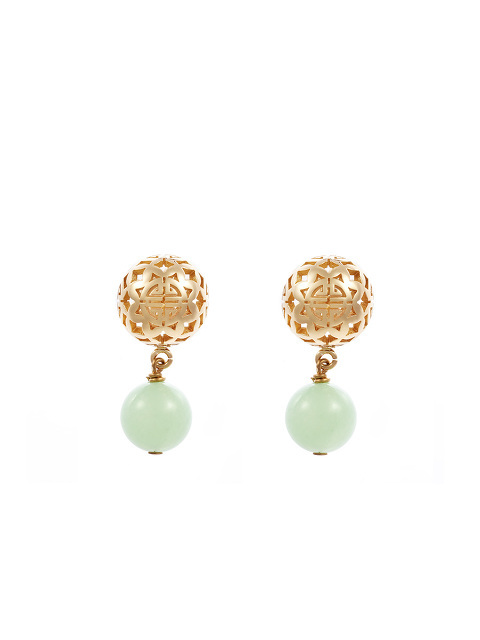 Malachite is admired for its attractive patterns and layers of colour, and is a symbol of opulence, beauty and honour. Crystals add a touch of shimmer. 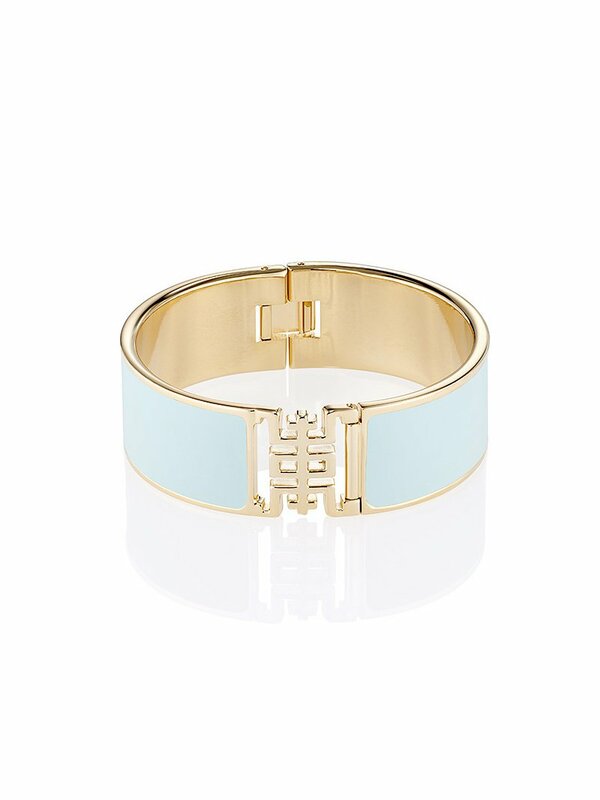 This fine enamel bangle looks stunning in celadon green and gold. The clasp is formed in the shape of the Chinese Shou - a signature Shanghai Tang detail representing fortune and longevity. This chic cocktail dress is cut from Dragon Scale Jacquard fabric with shimmering lurex, contrasting with the delicate chiffon pleated collar. With sumptuous looking fabric and a modern A-line cut, this is a dress that will get noticed. These shorts are cut from gold and dark blue Dragon Scale jacquard. With a slightly boxy shape, they sit flatteringly and can be worn with a matching Dragon Scale jacquard top. 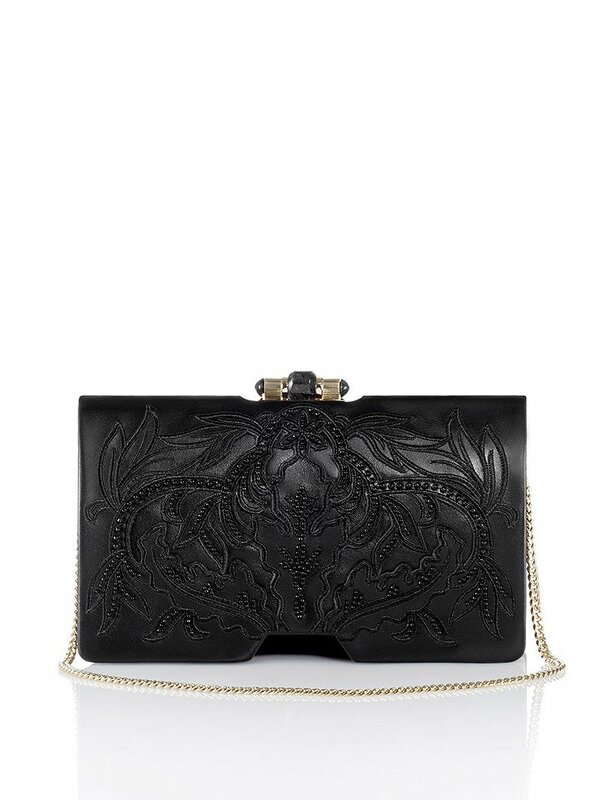 This meticulously crafted clutch has a floral design inspired by Chinese ceramics, with the pattern created using an intricate applique and beading technique. Perfect for day into evening use, it can be carried as a clutch or shoulder bag. 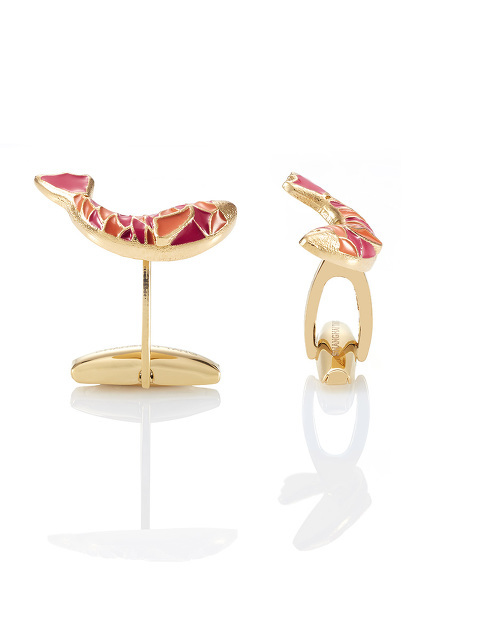 These elegant earrings are inspired by art deco design. 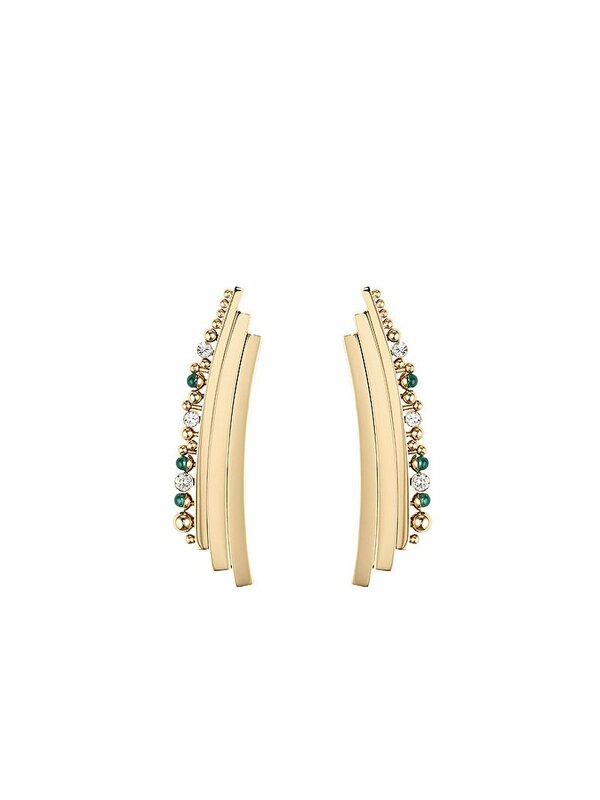 They are embellished with malachite beads for pops of colour, and crystals add pretty shimmer. Chic in every detail, this beautifully feminine top contrasts delicate pleated chiffon with exotic Dragon Scale print jacquard, which is inspired by peacock feathers and has a lustrous finish. Cut in a modern, boxy shape, with an elegant band collar and cap sleeves, the top exudes glamour.